Trent Morrow, better known as the Marathon Man, spent yesterday at the Australian Institute of Sport (AIS) consulting with Australia’s top sports scientists and athlete support staff. 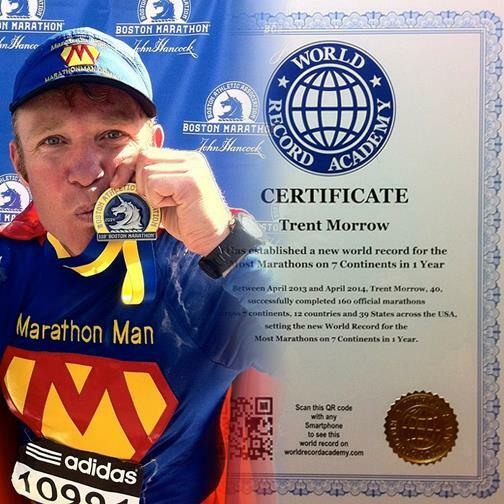 The 39-year-old from Sydney is kicking off his world record attempt of 120 marathons in 2013 starting with his first race at the Texas Marathon on January 1 in Houston, Texas USA. 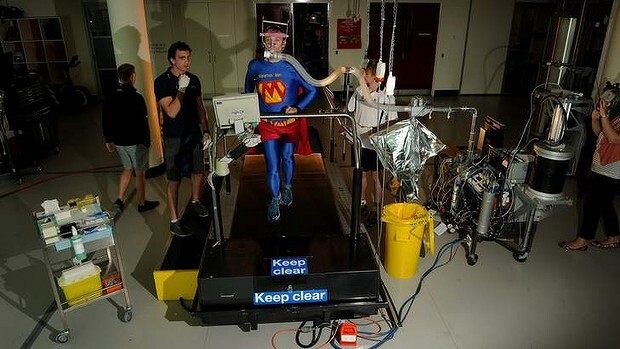 To ensure that his body has the best preparation and recovery regime for this arduous project, Morrow underwent a number of tests and interviews at the AIS in Canberra. I am looking to push the boundaries with this project and motivate others to improve their health and fitness as well as raise money for the Cure Cancer Australia Foundation and other charities. 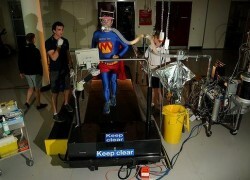 AIS Director Matt Favier said there were a number of good reasons why the AIS chose to support the Marathon Man in his world record attempt. “Firstly this attempt will provide funds to help cure cancer and secondly the AIS will benefit in terms of gaining new insights as we monitor his progress throughout 2013. The Marathon Man will run marathons located in more than 20 countries with an average of close to 3 marathons per week through the year. The attempt is set to finish with the final marathon planned in Jackson, Mississippi USA on 31 December 2013.